It’s Thursday, the eve of our installation at the Continuing the Conversation Conference at Harvard University. If any one of us told you we weren’t nervous, we’d be lying. The last of our cups were thrown after school on Monday and were loaded into the kiln on Tuesday. 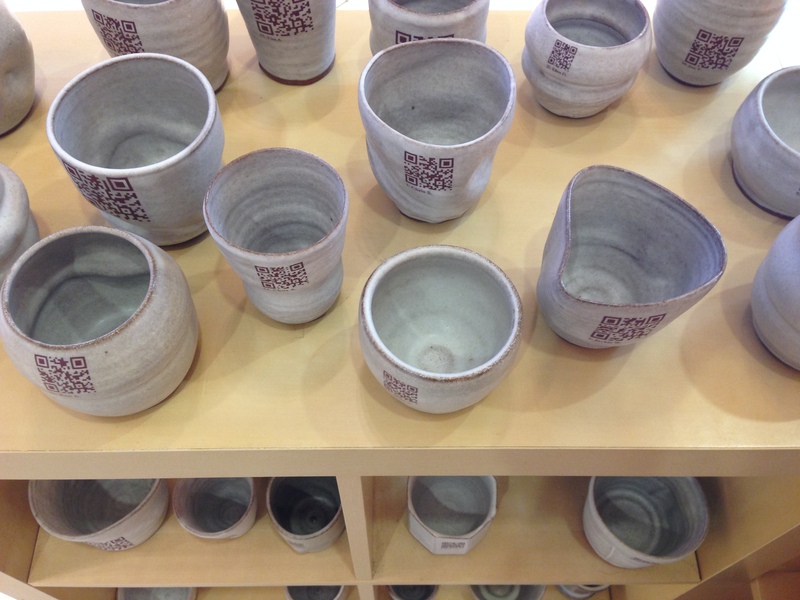 By Wednesday, all of our cups had been glazed; and those that had their QR codes were placed in the Art Gallery for viewing by those that walked by before they will be ultimately packed up to come with us to Harvard Friday morning. The whole experience has been great. All the hard work we have put into this including throwing, interviewing, waxing, or glazing has lead us to where we are now. The bonds among our team have strengthened from countless hours spent together after school working on our project, drinking tea, and having a good time. In the future, we will look back at this and realize that the experience was invaluable, and worth more than we could ever imagine. Seeing all of our work come to fruition has been amazing, but we are still not done yet. The real fun has yet to begin because Friday, October 25th, our show hits the road. Look out Harvard, here we come! “I don’t think I even know how to stand still and not try,” one student says. Several students and I are in the studio after school, creating cups. The topic of conversation is ‘senior slide,’ and how yesterday might have been the perfect ‘senior skip day,’ but, really, isn’t October too early in the year for such shenanigans? Another student adds, “I don’t know if I’d be able to look a teacher in the eye if I skipped, or did the slide.” They agree that it’s an issue of mutual respect. All the while during this conversation, they are throwing, trimming, sanding cups. We are well on our way to the two hundred we committed for an upcoming installation – but not there yet. There are less than two weeks to go, so the energy has escalated. We are all closing out each day with ruined khakis, the iron in the red clay producing stains that never quite go away.